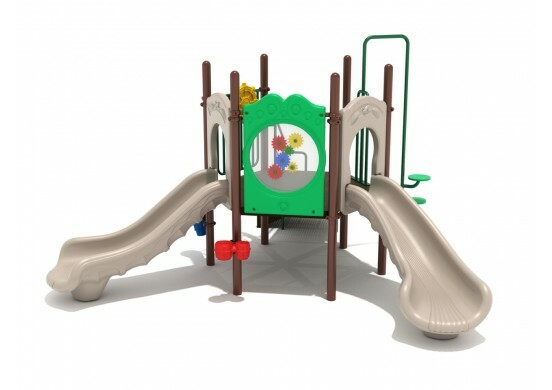 Beech Grove brings everything that young children love together in one play structure. 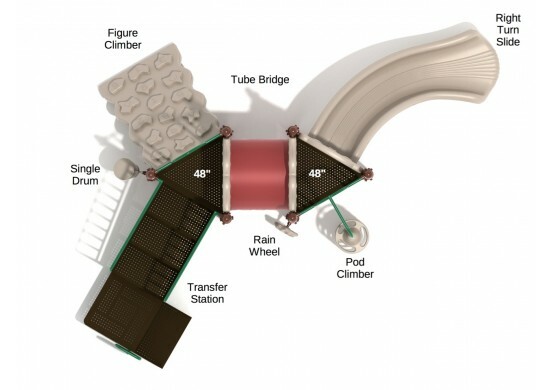 Children can enter by using the transfer station stairs, which have wide steps and ample railings to allow all children, regardless of physical ability, to climb them. 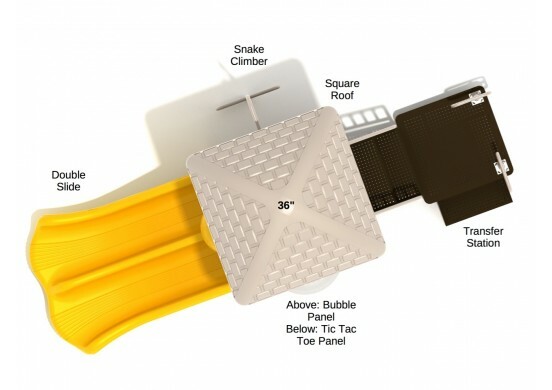 For those who want a little bit more of a challenge, there is also a small Vertical Snake Ladder with three steps. This gives them some freedom to decide how they navigate the structure. 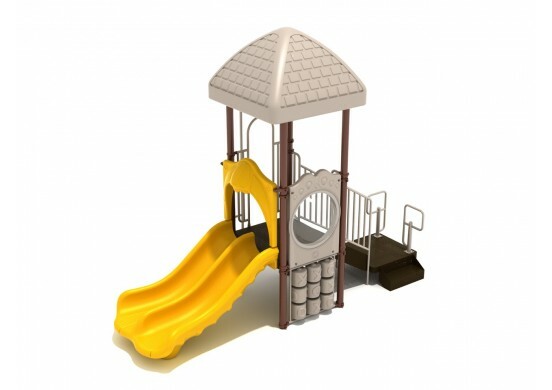 The main deck has a straight double slide, which provides a fun activity that any child can enjoy. 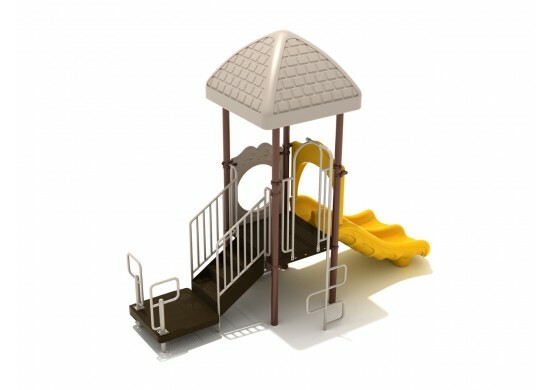 Since it is a double slide, two children can use it simultaneously. The deck also has a bubble window panel, which offers kids a great vantage point through which they can survey the surrounding area. Below that, there is a Tic-Tac-Toe panel where kids can challenge their friends to play games, while sheltered under the deck and Square Roof.